"Taking the Work Out of Your Vacation"
Welcome to Hiawatha's Vacation Homes of Munising Michigan. We are located in the Hiawatha National Forest in Michigan's Upper Peninsula and near or along the Pictured Rocks National Lakeshore. 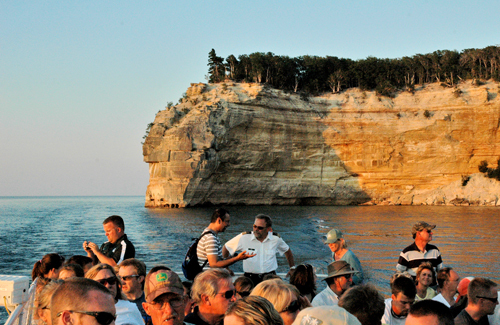 The majestic Pictured Rocks are comprised of over 15 miles of shoreline with stone cliffs up to 200' high. The park offers spectacular scenery of the hilly shoreline between Munising, Michigan and Grand Marais, Michigan, with natural archways, waterfalls, and sand dunes. The U.S. Congress made Pictured Rocks the first officially-designated National Lakeshore in the United States in 1966. 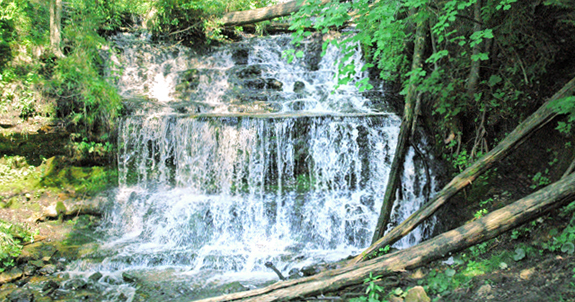 Enjoy a number of inland lakes, Lake Superior, rivers, and over 17 waterfalls within Alger County. Our unique area also offers Grand Island for your exploration. 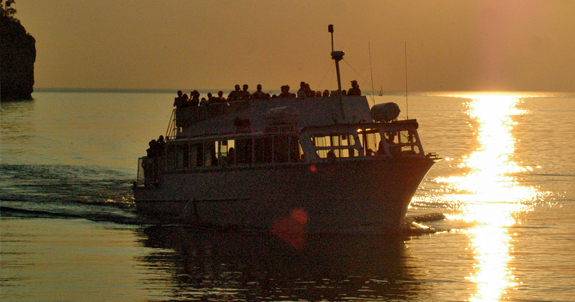 Enjoy a Pictured Rocks Boat Tour, a Shipwreck Tour, Grand Island Tour, fish, scuba dive, hike or bike throughout our area and the Hiawatha National Forest. We invite you to learn of the history and lore of this one of a kind area. We wholeheartedly welcome you to our exciting land of wilderness fun and adventure. No matter what your family outdoor recreation activities may include, we've got 15 perfect locations. Each rental property has its own character, amenities and scenic surroundings. Our Munising, Michigan Rental Homes are prepared for you with all the comforts and conveniences of home. These fabulous Munising, Michigan Rental Homes are nestled quietly in the Hiawatha National Forest or on Munising Bay. Let us provide you with a relaxing stay with the accommodations that will suit your needs. Making your rental home selection is easy. We have conveniently listed them in the following categories: Lake Superior Vacation Homes, Inland Lake Vacation Homes, Woodland Vacation Homes, and Luxury Vacation Homes. Please feel free to browse our beautiful vacation retreats, and to explore the vast amount of scenic treasures outside your doorstep to adventure. 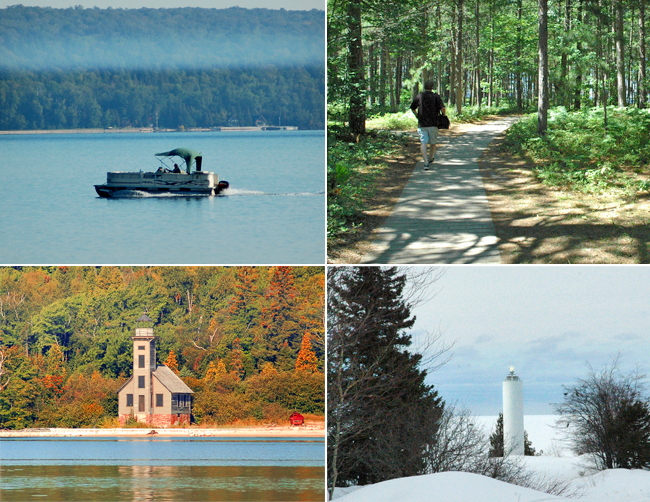 Four fun-filled seasons - a never ending supply of recreational resources in Michigan's Beautiful Upper Peninsula. 14 of our Munising Rental Homes are located in the Hiawatha National Forest of Michigan's Upper Peninsula and Vista Grand Lodge is on Lake Superior on Munising Bay. Springtime- Springtime is special here in Munising. Enjoy trout fishing the many lakes and streams within the Hiawatha National Forest. 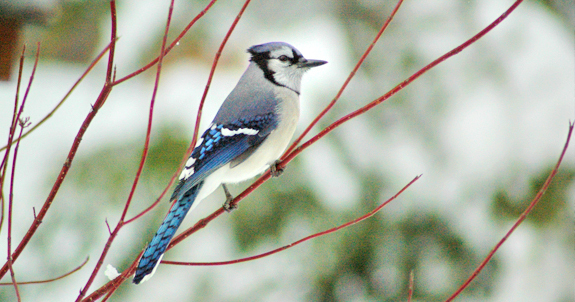 Fish for your dinner & watch as the beauty of the Hiawatha National Forest comes to life again! The area falls at this time of year are gushing with newly released water. Summer - Cameras are a must all year round!! In the SUMMER, enjoy your day biking, hiking, or sightseeing, canoeing, four whelling, relaxing by a campfire, take a beautiful Pictured Rocks Cruise; glass bottom boat ride to view fish and shipwrecks; rent a kayak or jet ski; or, shop in one of many gift shops in Munising, then you can enjoy a fine meal at one of the many local restaurants. Autumn - Fall in Munising is a photographers dream! Take scenic byway Highway 13 along the stretch of 36 miles full of color in the fall. This is also the perfect time and place for hunting partridge, deer and bear! Winter - The winter in the Hiawatha National Forest is unbelievable! The beauty alone will blow you away, with newly fallen snow blanketing pine trees, creating a white tunnel throughout the forest. Snowmobiling, the biggest draw to the Upper Peninsula in the winter, is spectacular in the Munising area on over 250 miles of snomobile trails that take you through picturesque scenery you can only imagine! 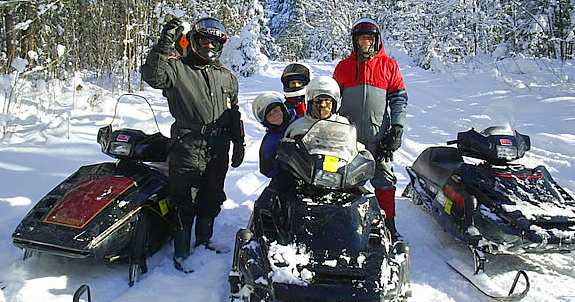 Winter activities include snowmobiling, cross country skiing , sledding, ice fishing, just to name a few. No matter what your family outdoor recreation activities may include, we've got 15 perfect locations. Each rental property has its own character, amenities and scenic surroundings. 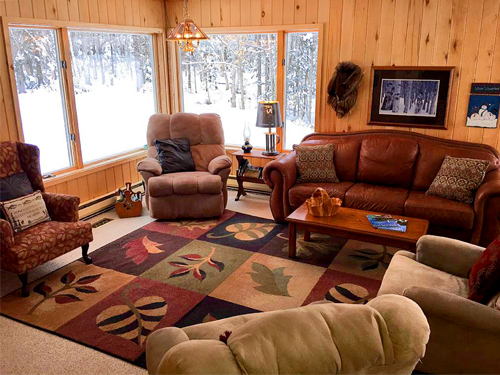 Our Munising, Michigan Rental Homes are prepared for you with all the comforts and conveniences of home. Come and Experience Munising Today!